In the wake of his rule, Vladimir Putin came to power when Russian foreign policy was weak, inconsistent and ineffective. It was then that a new foreign policy course began to form. 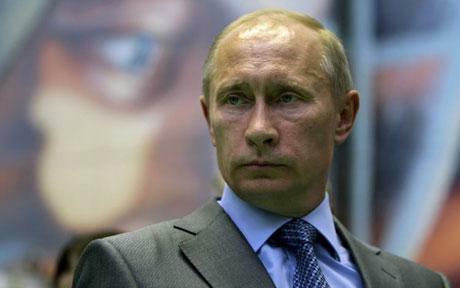 Putin’s foreign policy appeared increasingly solid, goal-oriented, consistent and pragmatic. During his visit to Kosovo in 2001 Putin said that “the international community, which set up a protectorate in Kosovo at the end of the civil war in 1999, must act to implement a UN Security Council resolution guaranteeing the rights of minority Serbs in the province of Kosovo and the integrity of Yugoslavia.” Putin reiterated that the long-standing Russian ties with the Serbian people constitute the foundation of the bilateral relations. Russia viewed NATO intervention in Kosovo as being the cause of the Albanian nationalism in the region. Cold War is in the past, yet even today we have to overcome its hard consequence, including the attempts to infringe the rights of sovereign states under the umbrella of the so-called humanitarian interventions and the difficulty of finding a common language when it comes to resolving the issues of regional and international threats. Disagreements between US and Russia over the resolution of the conflict in Chechnya became more common after Vladimir Putin was elected President of Russia. He perceived and presented Chechen rebels as a threat not only to the Russian society and its territorial integrity, but also to the civilization at large, which he predominantly associated with the West, so as to achieve a greater international support for the operations in the Caucasus. In his April 2002 State of the Nation address, Putin said that “in the aftermath of the September 11 attacks on New York and Washington, many people realized that the Cold War is over and that there are different threats and there is another war with international terrorism. This does not require additional evidence and equally applies to Russia.” The first wave of terrorist attacks in Moscow and the second Chechen campaign that followed them boosted his ratings substantially before the presidential elections in 2000 and gave him greater confidence in promoting a centralized governance system across the nation. However, US-Russian relations improved in the wake of the terrorist attacks in New York and Washington and after the two presidents met in 2001. Whereas certain Russian policymakers had expressed their willingness to support the USA, given the concessions on NATO enlargement initiatives were made, President Vladimir Putin immediately endorsed the US plan to launch a global war on terrorism, which was seen in line with Russia’s domestic campaigns to suppress insurgencies and secessionist tendencies. The events of September 11, 2001 presented a perfect opportunity for Moscow to gain greater support for its domestic policies. “Fighting terrorism has been the argument used by Russia to combat rebel groups in Chechnya and it builds on a strong national consensus created by the bombings of civilian apartment complexes in Russia in 1999.” The obvious reason was that Putin already saw Russia as fighting such a war in Chechnya and that the resumption of this war in 1999 had greatly contributed to his accession to power. Russia thus supported the US-led campaign to oust the Taliban regime and to eliminate the Al-Qaida network in Afghanistan. As a result, Putin reluctantly accepted the US plan to deploy military bases in Central Asia, despite the domestic opposition. Russia was seen as an even closer ally than NATO. The response of the US leadership was the softened criticism of the war in Chechnya, which was subsequently referred to as the internal affair of the state. When referring to the situation in Chechnya in 1994, Yeltsin had stressed the need to rely strictly on negotiations so as to reach a social and political consensus. The consensus is aimed at a common goal of consolidating the Russian state and increasing the welfare of its citizens without regard to the differences in opinions and political positions. In 1995, he stated that in rare cases when coercion is to be used all actions need to conform to the will of the people, which is enshrined in the Constitution. He further stated that Russia was compelled to use force against the outlawed Chechen regime in the first campaign that was started against the backdrop of weak statehood, poor condition of military forces, fragile civil society institutions, and a still growing democracy when the government was able not to suppress the wave of criticism and remain open both domestically and internationally. Despite the war in Chechnya, Yeltsin was well aware of the necessity to maintain a solid, business-like relationship with the West, and was not about to forfeit Russia’s right to fully participate in European and world affairs. To alleviate the international criticism during the height of the campaign, Yeltsin even allowed OSCE fact-finding missions to enter Chechnya in an effort to resolve the conflict. By permitting the OSCE to play an important role in Chechnya, the Yeltsin administration attempted to give evidence of its willingness to cooperate with international organizations, notwithstanding the strong criticism by the Republican-led US Congress.